When Nikole Castro decided to pursue her dream of escaping the small town she grew up in, a once in a lifetime mystery offer whisked her away to California. Desiring to break free of the bonds of neglect and heartache, she chose to take a chance on the unknown to pursue the life she had always imagined. Her goals were set, her dreams within her grasp, until an unexpected encounter altered her life forever. Every moment of Adam Lane’s life had been decided for him since the day he was born. Growing up wealthy was a privilege he enjoyed, but it came with a price. His future was mapped out for him: which college he would attend, who he would marry, and the inescapable eventuality of taking control of his father’s company. When an accidental collision brought Nikole and Adam together, both of their worlds were turned upside down. Their love might be compelling, but neither of them could have imagined the repercussions of their unlikely love. This was a tale told in two parts, a second chance love story which began one summer at college when two people from very different backgrounds came together for a summer of fun. What they weren’t expecting was to fall in love so quickly. Miscommunication and circumstance lead to an epic break up that keeps them apart for 12 long years. Adam is a possessive and alpha type man who is confident in his beliefs, but once he learns that he was deceived by his own father, he has to work hard to try and win back the woman he so harshly turned away. Nikole has moved on and made a good life for herself, with a father and a brother she never knew she had and a job she only ever dreamed of, but she never forgot the man who stole her heart and cruelly broke it all those years ago. Adam wants her back, but she is reluctant to trust him again. This was an angsty story, often frustrating at times due to the lack of communication between their younger selves, but once I moved onto the second part of the book I found that they had matured enough to be able to actually sort through their problems like adults. I really loved Kole’s brother Jet, and would be very interested to see a book about him. 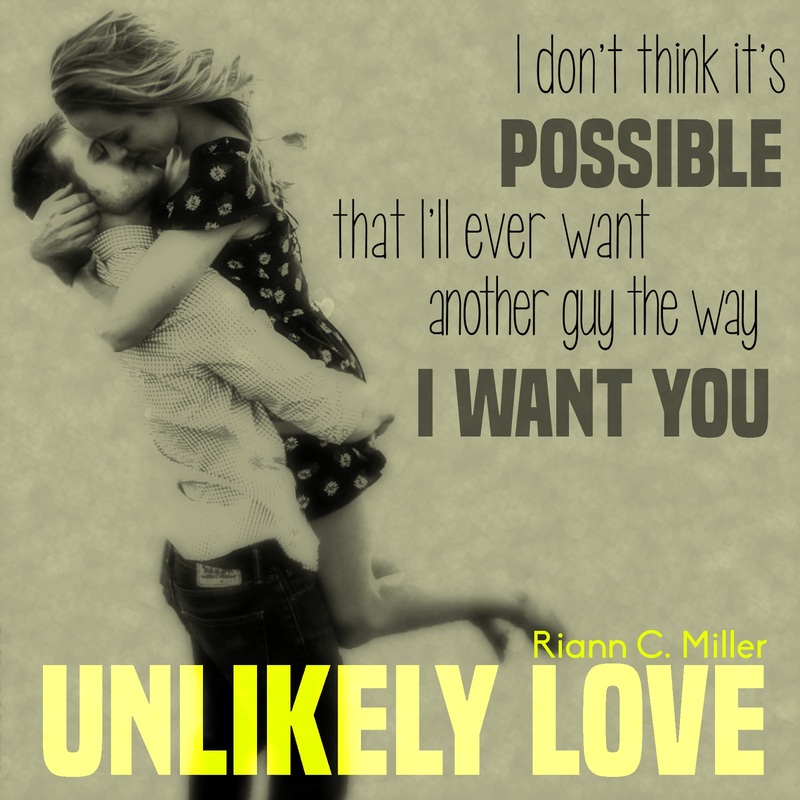 This was a great debut from author Riann C. Miller, and I am very much looking forward to what she has in store for us in future works. This is a standalone, told in dual POV.